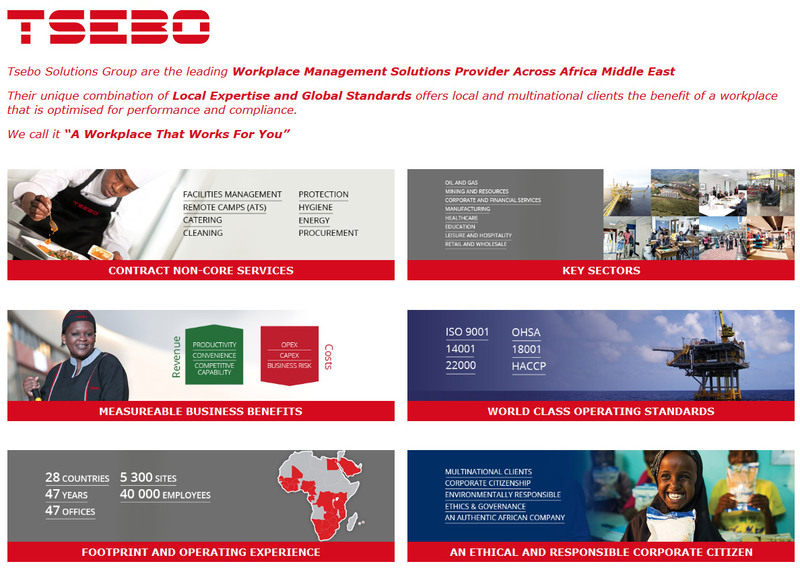 Tsebo has championed transformation in South Africa for many years, and it is with great pride that not only have we achieved a B-BBEE rating of Level 1 on the new B-BBEE codes but that we were the first large corporate in our industry and South Africa to do so! This achievement did not occur overnight; Tsebo has been on this journey since 1981. Our collective achievement has been the long-held vision of our Group CEO Clive Smith and is the result of years of sustained effort to transform and accelerate progress on all aspects of our B-BBEE scorecard. With 51.05% Black Ownership and 44.03% Black Female Ownership there is a clear advantage to our clients, for every rand spent with Tsebo, you will receive the highest possible procurement recognition of 135%.